Being Eco Aware in a Fortune 500 company can be interesting. Some of it is great-everyone wants a test drive in your hybrid, but it can also get weird when they want to feel the texture of your organic hemp shirt. Last week in a lull during a meeting in a peer’s office while he took another call I filled the gap by sketching a rough diagram of The Funnel on his dry erase board and as he finished his call I proceeded to regale him with a 90 second version of my deep concern about the results of our current rampant consumerism and its effect on the population limits of our Earth mixing in various elements of ideas such as ecological footprint, Peak Oil, the effects of the melting of the Himalayan glaciers on water availability in India and China, etc. to such an extent that the overall effect was to stun my peer into silence. The Green Bug rears its head at odd times. I was amazed to find that I couldn’t immediately answer. Being short of words is almost unheard of, but after working myself that deep into the Doom and Gloom, changing a few bulbs to CFL’s didn’t seem even remotely enough to offset water shortages on a continent wide scale. I gave it quick thought that centered on a few macro level changes that called for more of a change in mindset than tweaking how you light your kitchen which is my typical answer when a friend asks for a way to live a little greener. Buy Less After talking so much about the rampant energy consumption, pollution and water shortages in China and India I feel strongly that exporting our pollution and resource use is an immoral act. It takes a lot of energy and water to make a Mattel Hot Wheel in China while at the same time pushing uncontrolled urbanization that is further eroding that region’s ability to feed itself. We cannot be sustainable until we learn to live more frugally. Cutting consumption impacts everything. It cuts environmental degradation from resource appropriation, cuts energy consumption and industrial pollution from unregulated manufacturing, and frees up household money for more sustainable practices that unfortunately can cost more initially while offering long term savings. Buy Local If we are to survive post Peak Oil and remain flexible enough to roll with the punches of our new self made climate we need to recreate village/regional economies. There is more patriotism to Buying American than in keeping Harley afloat. 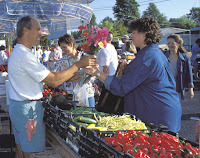 Here in Wisconsin it isn’t always easy to find local foods and goods year round, but by purchasing as close to home as possible we drive a local economy that encourages artisan skills that will be essential as we are forced to switch from a resource intensive economy and revert to a more knowledge based one. Factor in the massive resource and pollution savings of cutting several thousand miles of transportation off your goods and it’s a no brainer. Conserve Energy This is usually where I start my Eco Evangelism. I have even made inroads with some die hard neo cons… energy is expensive and even if you don’t believe in Peak Oil or Climate Change, money is a powerful persuader. I figure we are saving $6-8k annually compared to where we were before going green. On a more sustainable level, due to the massive energy losses in transmission lines for electricity or in shipping oil half way around the globe, cutting energy use at the source pays back immense dividends in resource and pollution savings. Hybrids, CFL’s, programmable thermostats, caulking, etc can have incredible effects. Kick it out another level and factor in the built environment with LEED standards, New Urbanism development, and efficient mass transit and hope becomes a reality. We need that energy to invest in a different production infrastructure and may only have a generation to do it. 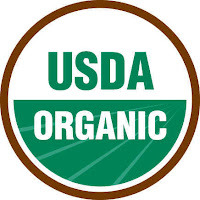 Buy Organic I rarely push the health benefits of buying organic. The science can be unconclusive and few want to admit they have been slowing poisoning themselves or their children so it throws up walls for them. Instead I push the undeniable environmental consequences of our current industrial agriculture. We are losing our topsoil to the wind while we poison our groundwater–two resources that we literally cannot live without. Almost more terrifying to me is that with the passing of the current generation of farmers (mean age of over 55) we will be losing untold generations worth of accumulated oral traditions of “organic” farming. Our grandparents learned from their fathers before them how to farm successfully without petroleum. Their children switched to a more industrial model and the majority of young farmers today have never farmed any other way. Anyone who has ever tried to start a garden knows that nature is a firm taskmistress and does not brook mistakes-and even Eliot Coleman can only teach you so much from a book. We need that knowledge to be passed on as it always has-through experience: how to hold a hoe, when to plant in your county, and with those skills to have the seeds that have been painstakingly saved for generations to thrive in that exact farm. I still firmly believe that coming off too strong will not help give others the impetus to change, but that doesn’t mean that we have the right to shy away from the realities of the logical conclusions of our society’s path. If all you can do is convince your neo con neighbor to buy a CFL then we are several hundred Kwh to the better. But for those that are further along the change curve in accepting reality, giving them real tools to help them reorient their lives is critical if we are to build the amount of grassroots momentum to literally save the world. Hubris got us into this mess, it just might be the only thing to get us out. One of the biggest arguments (discussions?) that I get into at work is that Green is “too expensive” or “bad for business”. These arguments often start from associates that think of me as the “treehugger” or “that environmentalist guy”. That was a badge I had worn with pride, but that is changing the more involved I am become in systemic change in our Village. Our Smart Growth steering committee is the first really diverse committee that I am participating in. The Green Committee is pretty safe-we’re all treehuggers-whereas the Planning Commission which constitutes 75% of the S.G. steering committee has a healthy mix of business people that better matches our village as a whole. At our second meeting this week the “us v them” tone started to creep in at times. As a Village we want to push for some fairly radical changes in planning-especially for rural America-cluster development, biogas generation at the treatment plant, narrower streets, less parking, smaller lots, etc. Any one alone is fairly easy to defend (though the smaller lots will be a stretch), but taken all together at once and walls started popping up. Why? Green is good for growth. Green development creates a sense of place by creating communities that are specific to the locale, plus consumers are educated enough to be willing to pay a premium for Green Homes that are safer for their children and save them real money in energy bills. Developers like the fact (once educated!) that they can achieve the same amount of lots with less expense in infrastructure like roads and sewer due to cluster development. Green is good for Business. Environmentally concerned citizens are legion and in many cases have lots of disposable income. These Green Consumers are passionate about where they “vote” with their dollars-we love to boycott the bad, and will get into a frothing rage defending a corporation or group that has earned our trust. We are willing to pay a significant premium for goods and services that meet our standards. An entire community that supports these issues and earns that trust can become a haven for Green “green”. Green is becoming anti “anti”. The historical environmental movement loved to protest, was very successful at it and effected significant and lasting change. But in many parts of the 1st world the need to chain ourselves to trees is lessening as our ideas achieve broader acceptance in society. At the same time it was changing the worldview of a nation, the Environmental Movement burned some bridges. Saving the Spotted Owl was a noble quest, but that icon is burned into much of the public consciousness as a time when the treehuggers destroyed hundreds of livelihoods and depressed an entire region of the country-a trade off that doesn’t add up for hundreds of thousands of citizens for know the actualities only thru distantly remembered headlines. The new fight-which I prefer to call Sustainability- is much more about finding solutions that are win win. Environmentalists are predominantly left leaning. Followers of Sustainability are eschewing such labels. Everyone Breathes. This change in my thinking has been coming steadily for some months now. So much so that I bought a new book to further flush out my thoughts. The Sustainability Revolution, by Andres Edwards is now on my armchair stand and is proving to be dead on for where I was heading. Here is how Edwards breaks down Sustainability core beliefs into the 3 (6) “E’s” which are virtually identical to The Natural Step’s. Ecology/Environment This “E” is framed by three broad concepts: long term not short term thinking, a focus on the systemic understanding of ecosystems critical importance to human life, and finally the strongly held belief that there are limits to the amount of life that the ecosystems of the Earth can support. Economy/Employment Here is where Edwards (and the Natural Step) begin to grow beyond the traditional Environmental movement. Sustainability focuses on the critical importance of secure, employment and economies that do not overstretch their ecosystems. There isn’t a community on Earth that can be truly sustainable if they cannot meet the needs of their citizens-impoverished Africans will harvest bushmeat and American farmers will turn more and more to industrial agriculture without a viable economic alternative to feed their families and pay their bills. Amory Lovins and Paul Hawkins take this out to a much higher level in their brilliant work, Natural Capitalism. Equity/Equality Without going all socialist here, the world does not have a resource shortage, it has a distribution problem. Ok, I’ll go alittle socialist-moral issues such as famines and homelessness are all the more terrible because they are preventable if we could just redistribute the wealth/resources already in use in our society. Edwards also stresses community building in this “E” recognizing the inherent importance in concern and cooperation with ones neighbor. “At a fundamental level, members of a sustainable community understand that the well being of the individual and the larger community are interdependent.” We fight for a win win between the owls and the loggers even if we lose perfection in the process. Winning battles the wrong way can lose us the war. I have been giving Global Warming alot of thought lately. I finally got around to watching Inconvenient Truth a week ago at a free public showing at our Village Hall and that kicked me into a bout of Doom and Gloom. My fear is that we are entering into a feedback loop of warming that will make averting the pending disaster of massive sea level rise virtually impossible. Hit the Asia-Pacific page of the BBC today. Jakarta is under 13 feet of water with 340,000 evacuated due to record rains and China is in a nasty drought with the warmest winter in 30 years melting off the snowfall early. Now shoot forward a generation, and potentially, that is now what Jakarta looks like all the time and China’s billion’s are without water because the Himalayan glaciers that feed their rivers are gone. That is some scary sh/t. Now the EU is trying to do something about it, by attempting to limit the automotive CO2 emissions to about 120g per KM. Autos are the only industry with rising CO2 emmisions in the EU. That is kinda Greek to us in here in the US so check the chart above from Earth Trends. The EU has a long way to go, but compared to the US, they are squeaky clean. How in the hell can Congress defend GM and Ford when they sell us an average mpg fleet of an appalling 18.8 mpg when their EU fleet is almost double that with half the emissions? Besides that- all the numbers are pretty appalling and none are anywhere near the EU’s goal numbers-though they have improved slightly over these 2002 figures. But the EU won’t move until 2008, and we won’t move until we get another election. Grim. The macro picture is looking too bleak right now thru my doom glasses, so I decided to turn my angst into action. On the local side, I finally converted our dining room ‘chandelier’ to CFL’s. In 30 minutes I converted it from a motion sensor’d 300 watt incandescent setup, to a 50watt CFL set-up with the same lumens. I am saving a kwh every 4 hours that the dining room is on! Not too shabby, but its crazy that our society still uses such wasteful bulbs. I then rewired the powder room with the motion sensor switch, which can’t run CFL’s, so that the 240 watts of light in there aren’t on forever with the kids forgetfulness. That light is now never on more than 3-4 minutes at a time, and CFL’s don’t do so hot in those quick on/off situations so that will be the last room to convert. The main bath is another story-that one is on the budget for March, with the master bath (I too am concerned that we have 3 bathrooms) to convert in April, leaving only the powder room between us and 100% CFL’dom. Then we begin considering the Wood Stove to embrace biomass heating (and wood fired bread/pizza!) for 2009. These things are pricey! I’ve think I have finally overextended myself. With the 2 village committees, work, the Green Sanctuary at church, Someday Gardens, Groovy Green, and the family I am about maxed out. Then this past week I started prepping for my annual Home Owners Association meeting and I crashed. I have almost no creative energy, and combined with the bitter cold I am doing almost nothing but making bread, cleaning, reading junk fiction and playing old video games. I am trying to work on a refresh of the Eco-Veg series for Groovy Green, but condensing 4000 words down to 2000 or so is difficult on something that is probably too broad to begin with and I can’t make any progress. We’ll see. So the cold streak is lifting, and I actually went outside today on a compost run. On the way back in I saw the arborvitae near the back porch. Or I should say I say the twig that was formerly an arborvitae tubling. I now remember all the stories that Mia has been telling me about the bunny tracks, and the kids asking if you could follow the tracks all the way to the bunny… Looks like the deep snow has forced the little guy to start browsing. Then in a moment of clarity I trudged back to the wind break to check on my 30 seedlings. Only one was chewed down, but all 4 Goumi shrubs were completely limbed. Remarkably I didn’t get angry…not even a flicker. This is probably due to the fact that the thuja’s remained intact, and that the Goumi’s should recover (we’ll see how they respond to a deep pruning!) even if I doubt I will get fruit for another season. But there may be something to the fact that I have come far enough along on attempting to learn with nature. I was actually more pleased that the bunny had found some more calories than if I hadn’t of planted last year. This does not mean that I didn’t spend the afternoon erecting snow fence around my thuja’s, but it does mean that I may also be putting out bales of alfalfa to tide him through. I also might need to start saying “no” once in a while!